After winning the status of official UK City of Culture for 2017, Hull is understandably excited. So excited in fact that city bosses are currently in serious talks regarding the construction of a £17 million cruise ship terminal at the Humber estuary. According to insider information the city has already forked out a huge £380,000 to fund the initial planning stages of the ultra-ambitious project. For decades, Hull has endured a reputation as a city plagued with WWII destruction, high unemployment figures and a relatively lacklustre tourism scene. Yet in the lead up to 2017 Hull is determined to give itself an up-to-the-minute makeover, starting with the construction of a state-of-the-art cruise ship terminal! After fighting off competition from Swansea Bay, Dundee and Leicester, Hull was chosen as 2017’s official UK City of Culture. According to competition officials, Hull won them over thanks to its ‘real understanding’ of what the title represented. The honour has created a huge amount of buzz, with local residents, businesses and city bosses all starting to prepare for the influx of visitors set to descend on the region. 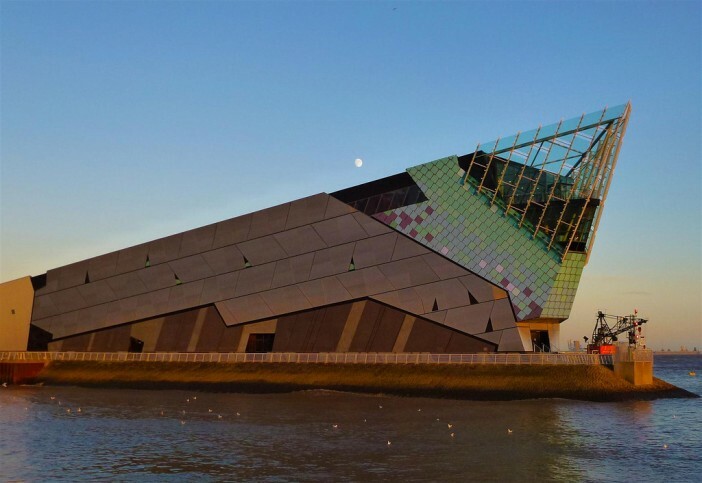 Steve Brady, Hull council leader has confirmed that one of these pre-emptive steps is the construction of a cruise terminal located near one of the city’s most recognised attractions, The Deep aquarium. The terminal would be used primarily as a half-day stop off point for vessels travelling through the region. The council is hoping that the terminal will boost the local economy, encourage tourism and help to cement Hull’s status as an attractive city with its sights set on the future. As well as The Deep, passengers embarking at Hull will also be able to visit attractions such as the historic Old Town, Hull Marina and the Museum Quarter. In the lead up to 2017, Hull will also be redeveloping Ferensway, one of its major thoroughfares. This project is set to further enhance Hull’s cultural appeal and includes the grand opening of St. Stephen’s Hull shopping centre as well as the all-new Hull Truck Theatre. It’s an ambitious plan but Hull’s long term objectives don’t stop at the UK City of Culture award. City officials have also honed in on the opportunity to host HMS Illustrious, the Royal Navy’s flagship aircraft carrier which is set to be decommissioned over the next few years.